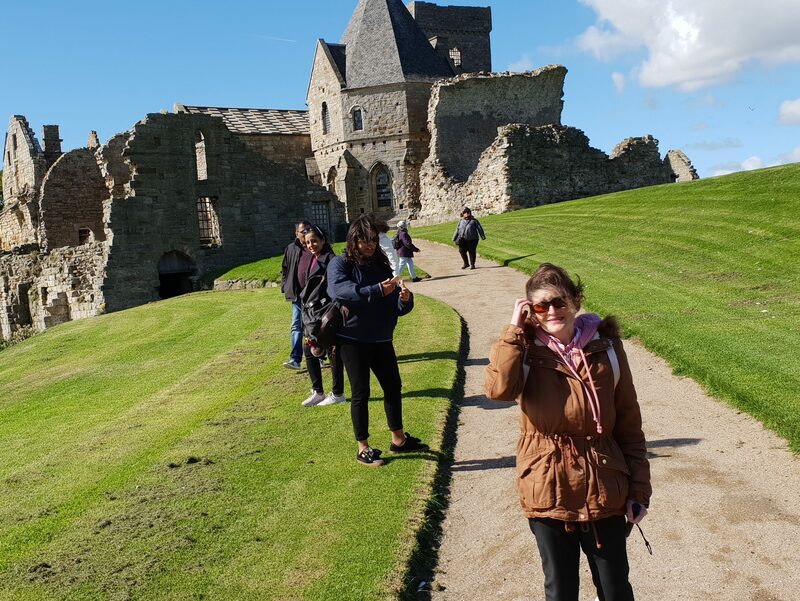 I went on a Scottish Day Tour – Fife Coastal Trail with Lothian Motorcoaches 2/8/18. The coach picked us all up at Charlotte square, just round the corner from Fraser’s (top of Princess Street) we started getting introduced to Scott our Guide for the day also James as he was showing Graham directions as it was his first day driving this route Round Fife. We were heading of to St Andrews where it was very nice walking around passing a Golf Course, St Andrews castle, St Andrews Cathedral, University Square Park and also had a cup of tea before heading back to the Coach. Our next location we were heading to was Kingsbarns Distillery Visitor Centre which was pretty cool getting shown round by Kate our Guide. Learning a lot about ins and out of whisky, we also seen a small video clip and had a wee dram taste at the end. Heading back to the Coach to our final destination was Anstruther where we had something to eat out side looking over to the boats. Overall it was just amazing day, really enjoyed ever minute of it. It’s true what people say that St Andrews is a lovely place to visit. Thank you to Scott, Gramham and James for making this day tour so perfect for us all.